We’re currently in Wuxi, up near Shanghai, celebrating Christmas with Wozza, Kiah & Hugh, enjoying our coldest Christmas ever at about 8 degrees! We even brought with us all the generous gifts you’ve sent us so that we could still open them together on Christmas morning. We’re thinking of you all at this happy time. Ever think that it is only kids and teenagers who get nasty and push each other over in the playground? Ever wondered what happens when they get older? Wonder no more. Procedure for getting on a bus/ train/ waiting to be served etc. is very much Survival of the Pushiest. If you leave a respectable gap, or the person directly in front of you is a bit slow and there’s room for someone to manoeuvre in front of you if they’re dexterous and a bit pushy, well, that’s what happens and stiff cheese to you. I witnessed a prime example of ambition overruling every social grace and courtesy today, while boarding the train to Hong Kong. Man A and Woman A were in the line, as was Man B. 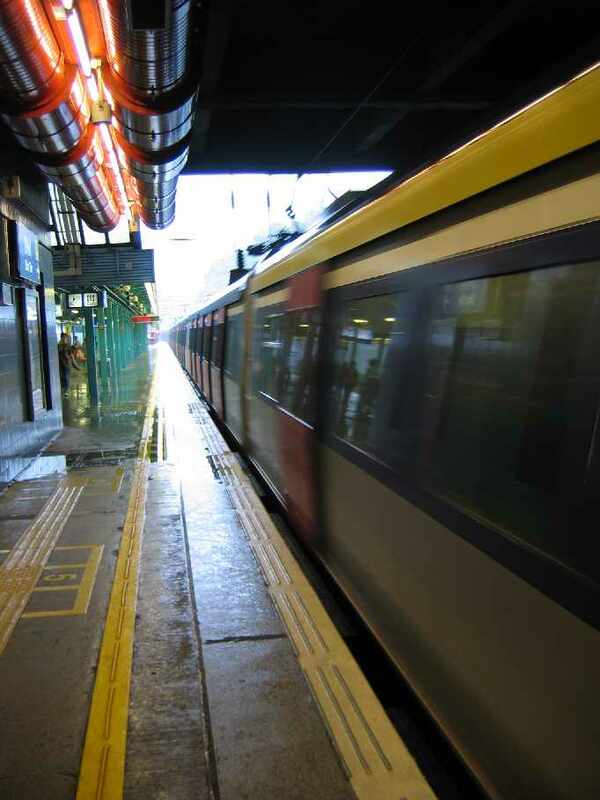 Now, as a bit of background information, there’s a gap of about 30 seconds between when the train rocks up and when the doors open for boarding, to let the passengers out the other side. Technically everyone is meant to stand behind the yellow line until the doors open. Yeah, right. During this time, Woman A, acting on directions from her husband, Man A, angled in front of Man B with the hope to secure a seat for both. Man B didn’t like this, and when the doors opened, I saw him push Woman A out of his way, and into the side of the train door. It didn’t look very pleasant, and probably hurt her a little. Well, that conclusion is drawn from the above and subsequent screeches from Woman A; whereupon her husband, who was behind them both, grabbed Man B and fisticuffs ensued. Woman A joined in but only in a verbal capacity. After a short time Man A and Man B realised that it’s difficult to shout your explanation as to why the other man is a villain coherently whilst punching, and it dawned on them that the train was about to leave. So they got on. At that time Man B and Woman A engaged in loud communications, punctuated with interjections from Man A whenever he could get a word in edgeways. Valiant efforts were made by fellow commuters to calm both sides of the argument down, which were largely successful however, it lasted until the next station. Man A, Woman A and Man B all departed then. It made for a bit of entertainment during the trip. After they left, a lady sitting next to me caught my eye and we both smiled and rolled our eyes. Incidentally, none of them got a seat. There are good and bad sides to many things in life. Here’s an article by the New York Times that takes a rather dark look at life in Shenzhen. Click here. China is a place where the gap between the rich and the poor is not just a gap, it’s a chasm. Officially, there are a lot more Chinese US$ millionaires (there are about 300,000) than there are Chinese people below the poverty line. Unofficially, there are still people suffering malnutrition and starvation in many places across China. The numbers game - the number of Chinese who are officially below the poverty line is purely a function of where the poverty line actually is! China does not follow the International poverty line of US$1 per day. 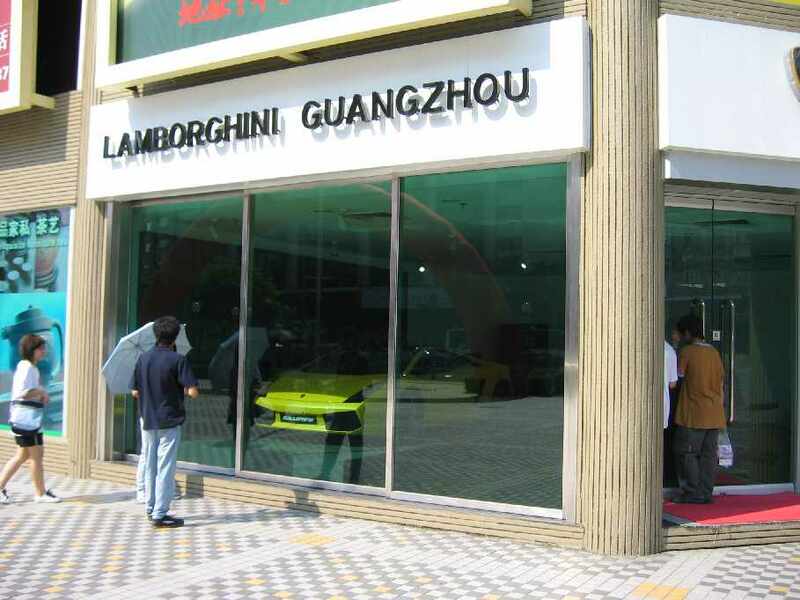 It has it’s own line set at RMB 680 per year (US$85), or in other words less than 1/4 of the International poverty line. My heart goes out to the poor that we see. It’s impossible to compare their hopelessness and desperation with our own relative decadence. We usually give them something. 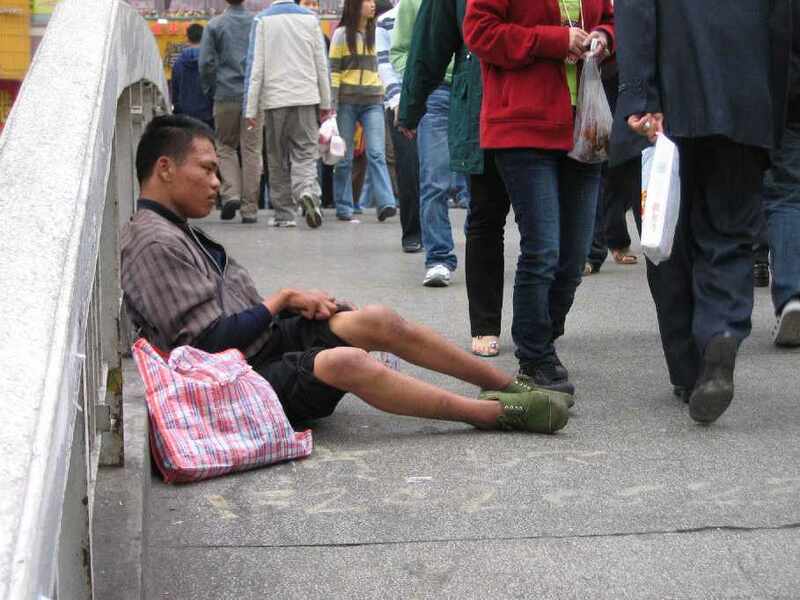 Some of the beggars are ‘employed’ to beg and they target wealthy westerners. Sometimes it’s obvious which ones are ‘working’ and which ones are genuinely in need. When in doubt, we give. To be in a position where you’re forced to work for someone else as a beggar is a pretty grim situation anyway. A few crumbs from our table will hopefully make a difference, however big or small, to a precious few of them. Our ADSL provider here seems to be one of the biggest ones in this part of China. 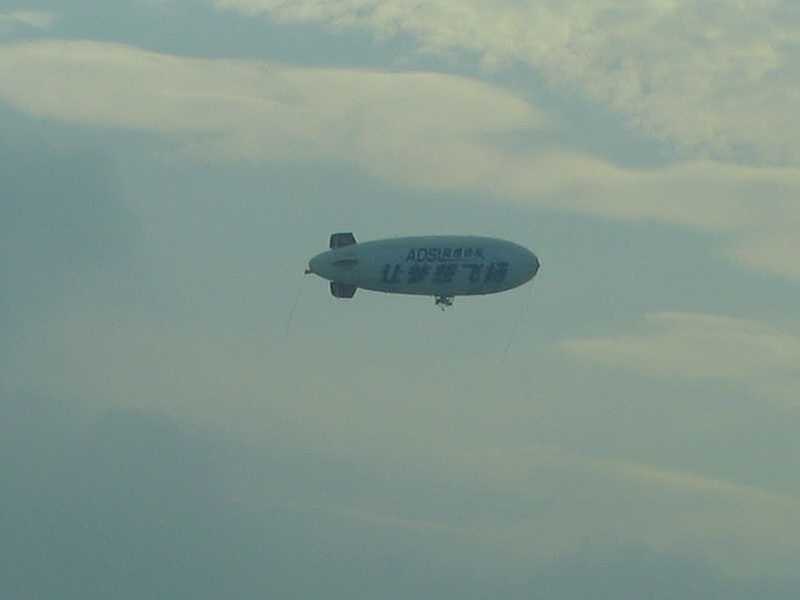 They’re so big that they can afford to have their own blimp fly around Shenzhen regularly to promote their products. When we first moved to Shenzhen and were first connected to broadband our provider would annoy us by loading a browser pop-up that advertised their services whenever we connected to the Internet. This was easily solved by the trusty Firefox pop-up blocker. Recently they’ve employed a new tactic. Randomly, when going to a new web page, the browser will be automatically redirected to their advertisement page. This usually occurs on one of the first few websites that we visit after opening the browser and about every 50 or so sites after that. Oh, and the pop-up is still there too. All this frustrating behaviour comes not from a trojan or some spyware but from the very company that we’re paying for our ADSL! 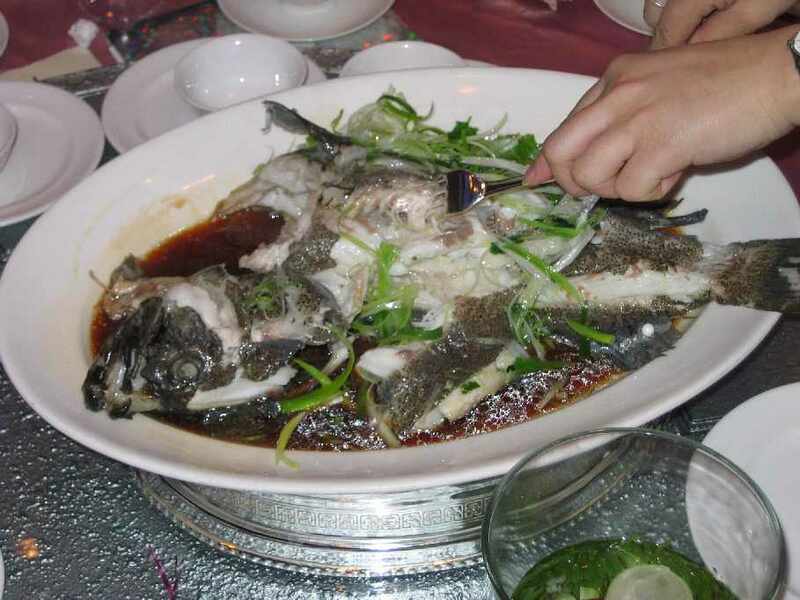 Have you ever wondered how the British fused their silver service dinners with the Chinese food culture? Yeah, I used to lie awake all night wondering about it too. The answer to this question was found at work’s Hong Kong Christmas dinner, held at the Sheraton Hotel in Tsim Cha Tsui, where we were indulged with a full silver service dinner. The difference between a regular chopstick and a silver service chopstick is a small silver adornment that is inserted into the end of it. Apart from that, the rest of the meal was regular silverware and white china/ceramics. 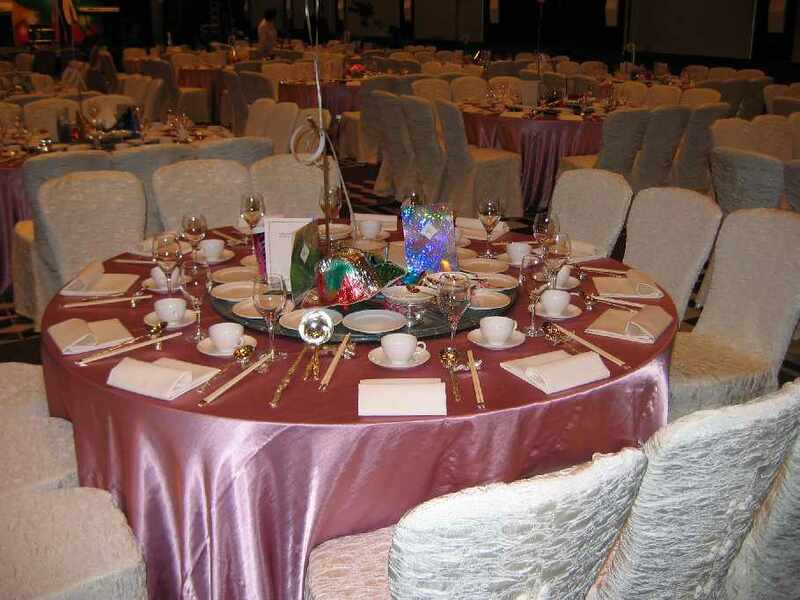 There were approximately 2 attendants for every table in the ballroom, serving the food and whisking away the plates the instant we looked like we’d finished. In addition to these two there were others running around serving drinks, looking important and admirably discharging their responsibility. 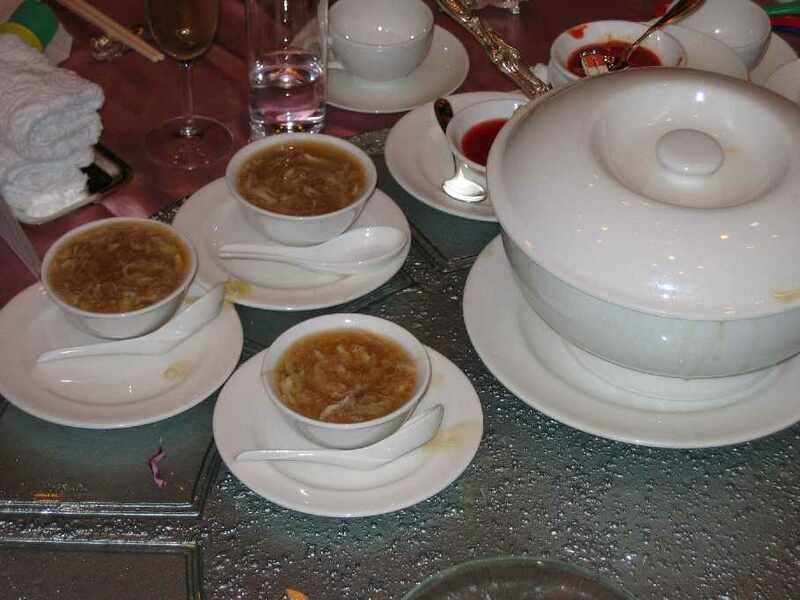 I can tell you that shark’s fin soup is nothing special. We were all encouraged to have some because it’s supposed to be good for ‘potency’. I found it to be stringy and quite unpleasant, with a highly glutinous texture. I have no idea what all the fuss is about. The meal was served over an extremely long period of time. The main course consisted of about 10 dishes over a 2 1/2 hour time period, each one brought to the table and then served out to everyone in turn. Each course was accompanied by fresh crockery. Whilst the food was OK it wasn’t entirely satisfying. I later deduced that this was because at no point during the evening did I ever feel full. The protracted food delivery meant that the earlier courses were well into digestion before we made it to dessert. I’ve never quite got the hang of (or the point of) these really formal dinners. I’d rather a BBQ and a sunset any day.